NANU KI JAANU is the story of a ghost that falls in love with a crook. Nanu (Abhay Deol) is a small time goon who works with Dabbu (Manu Rishi Chadha). Their modus operandi is to rent a flat and then threaten the landlord to transfer the ownership in their name. One day, Nanu is returning home when he sees that Siddhi (Patralekhaa) has met with an accident. He refuses to be a bystander and takes her to the hospital. Siddhi is barely conscious but she sees Nanu helping her and she falls for him. Unfortunately, she passes away as soon as she is brought in the hospital. Nanu gets disturbed by the episode. Soon he realizes that the spirit of Siddhi has followed him to his posh residence in Noida. With no other option in hand, he finds out the address of Siddhi's father (Rajesh Sharma) and meets him. But even that doesn’t help. He then approaches a ghost buster (Shreya Narayan) but it ends up in a disaster. To make things worse, Nanu loses interest in his illegal work and as a result their source of livelihood is in danger. What happens next forms the rest of the film. NANU KI JAANU is a remake of a Tamil film PISAASU and is written by Mysskin. The adaptation by Manu Rishi Chadha is very poor. Manu Rishi Chadha’s screenplay is very weak and only a few moments stand out. 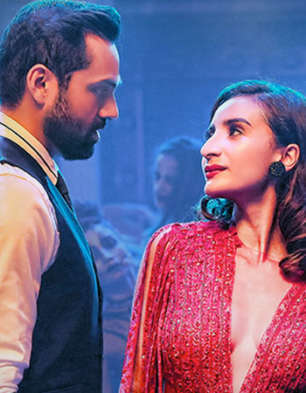 NANU KI JAANU doesn’t have a great beginning but one hopes for things to get better as the film progresses. The sequence where Siddhi is dying but is looking at Nanu lovingly could have gone wrong but is handled well. The film has some nice moments once the ghost starts to harass Nanu. The scene where Dabbu gets hung upside down by the spirit brings the house down. The intermission point is intriguing. But shockingly, the film goes completely downhill in the second half. The narrative goes haywire. The last 30 minutes of the film are bizarre to say the least and it’s going to raise questions as to how the script got approved in the first place. Manu Rishi Chadha’s dialogues are funny at places but they fall flat in many scenes. The dialogues get tacky in the finale. Faraz Haider’s direction is ineffective. He already had a weak plot in hand and his poor direction further messes up things. In the second half, he completely loses control. Even before the shockingly pathetic climax, he has done weird things like putting an intense chase sequence in a romantic song! Abhay Deol sleepwalks for most of the part but suits the role and is overall decent. He is known to be a thinking actor and has a credible track record. Hence it comes as a jolt to see him in such a bad film. Patralekhaa is shockingly hardly there in the film, maybe for around 10 minutes. Her performance is okay. Manu Rishi Chadha is funny and provides the much needed humour quotient. Rajesh Sharma is quite genuine even when he’s made to perform some very embarrassing scenes. Himani Shivpuri (Nanu's mother) is fair. Brijendra Kala (Mr Kumar) is nice in the intro scene but then hardly has anything to do. Shreya Narayan's scenes are a bit overboard but funny but she does well as per the characters requirement. Spandan Chaturvedi (Phantom) plays a difficult role with ease. Manoj Pahwa gets to play an unusual role and is quite good. Others like Gayatri (Shefalii Rana), Gurmeet Singh (Yahoo), Sameer Siddiqui (domestic abuser), Adithi Kalkunthe (domestic abuser’s wife), Mahendra Shrivas (kachauri seller), Ganesh Kumar (watchman), Chirag Sethi (Con man in building lobby), Kunickaa Sadanand (Mrs Nandi), Tarana Kaur (psychiatrist) and Reshma Khan (Promila) are good. Sapna Choudhary is alright in the item song. The music of the movie is forgettable. ‘Tere Thumke’ catches attention while ‘Bhoot Aaya’ fails to register impact. Other songs like ‘Tujhe Dekhti Hai Nazar’, ‘Kali Choti’ and ‘Jai Mata Di’ are also poor. Dhruv Dhalla’s background score is needlessly loud. S R Sathish Kumar’s cinematography is nothing special. Boishali Sinha’s production design is passable. Sunil Rodrigues’s action and Manan Ajay Sagar’s editing are okay. On the whole, NANU KI JAANU is an extremely poor show. At the box office, it will be a huge disaster.